Celebrated author and illustrator Henry Cole uses stunningly detailed black-and-white artwork to illuminate a tale of friendship between an adventurous mouse and a boy who would become one of America's greatest presidents. Celeste is hundreds of miles from home following an unexpected journey aboard a Mississippi steamboat. After mishaps and disasters, she finds herself on the frontier in southern Indiana. 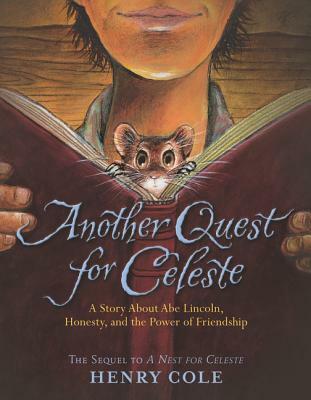 It's 1822, and Celeste meets a tall, lanky boy wielding an ax: a young Abraham Lincoln. The journey reveals the harsh realities of frontier life for the Lincoln family. But with the help of Celeste's new woodland animal friends and some creativity, she may just prove that even the littlest creatures can make a big difference. And it's in losing her way that Celeste finds herself in a place she never expected--home, finally.